Sue Britton is the CEO and Founder of FinTech Growth Syndicate. 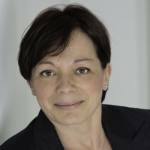 She is passionate about working with all sizes of companies in FinTech to help them accelerate growth and innovate new business techniques. Sue was Head of Innovation for D+H (now Finastra), SVP and GM of a startup business unit she created for Broadridge that grew to $40 Million in revenue in 24 months, and has spent 25 years in various corporate executive positions and new startup roles.Sue is a passionate community builder and actively promotes Canada’s FinTech ecosystem as well as holds many volunteer advisory roles in the FinTech community to help drive global awareness and collaboration in Canada around innovation in FinTech. 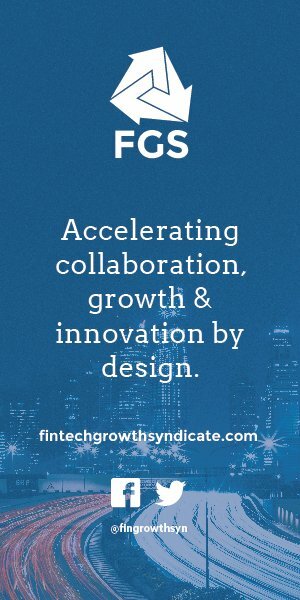 FinTech Growth Syndicate (FGS) is as a business accelerator that accelerates sales, partnering and marketing strategies for new entrants, and implements innovation programs for financial institutions and technology incumbents making innovation work inside and outside the organization. 1- While Canada does have some FinTech assets, we are extremely behind in building our FinTech base and FinTech adoption, and this creates challenges in terms of reaching consumers with innovative FinTech products. 2- There is no incentive for our large banks to respond to changing market demands and adopt new business models like their FinTech counterparts, which is not only holding back the FinTech sector, but also depriving consumers of innovative products. Regulation is not the reason for our lack of progress, profits are. 3- In the future, the financial services industry will have two major types of players: product producers and platform providers. If the government cannot provide funding to the FinTech sector, it should at least work on regulation and policy reform to increase FinTech adoption in Canada by creating a burning platform for competition in the sector that incumbents can’t squash. How would you rate Canada’s competitiveness in the FinTech sector? Canada definitely does have FinTech assets that other countries are recognizing, whether it is our talent, our focus on AI, or our blockchain expertise. But we are significantly behind in building our FinTech base and FinTech adoption. While there are certain pockets of the Canadian economy that are improving, we are generally behind in terms of modernizing as a country. These weaknesses have formed barriers, which have led to a financial services industry that relies on other industries to be successful and is dominated by a few significant players. This creates a challenge in reaching consumers with new and innovative financial products. The fact that the recession did not hit Canada as much because our banks took the right measures gave us a false sense of security. Ten years on, we have not had any compelling reason to keep up with the times. If anything, we have built so much legacy technology underpinning all our banks and insurance companies that digitization or digital transformation is extremely difficult and costly, and ultimately a threat to survival. So established banks have no incentive to provide new products to consumers without concrete evidence on adoption. On the other hand, it is difficult for FinTech to reach consumers to generate that evidence in the first place. What should the government do to support Canadian FinTech entrepreneurs? The government has invested a lot of money in superclusters and AI, but it has not done enough to support FinTech. Its intention was to provide funding to superclusters that would support other industries. The challenge with this strategy is that the financial services industry or similar oligopolies like telcos still have no incentive to change and modernize. Its as if they are protected from competitive pressures. Instead of focusing on specific technologies such as digital or AI, the government and policy makers need to look at the financial services market and its interdependencies on other markets that are transforming. For example, banking and insurance, which relies on the auto and energy sectors, will be massively disrupted by self-driving cars and the sharing economy. In some other markets like the UK, China, Singapore and India, the policymakers have improved regulation to incentivize modernization. In those markets, there is 50, 60, 70% adoption of new technology or financial technology, and a very competitive ecosystem. Canada has a tough regulatory environment because of multiple regulators and different provincial structures. That is a problem and nobody is trying to fix it when we need to so urgently. The clock is ticking and things are moving way faster than people realize. Amazon just announced that it is working with JP Morgan to launch a bank. There should be shockwaves going through the industry right now but I do not see any. Amazon Cash is up-and-running in Canada and there are ways to get loans, mortgages and other financial instruments through big tech giants. Canadian FinTechs that have been successful are few and far between, and many of them are turning to other markets to find success in the US and abroad. What is the FinTech Growth Syndicate and how does it plan to change the Canadian financial services industry? 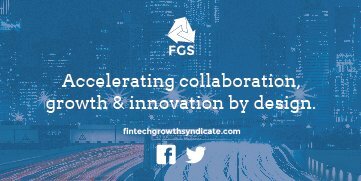 FGS started with a real desire to accelerate FinTech growth and its adoption by financial institutions. Partnership is key for the future of financial services. According to the World Economic Forum, there will be two types of players in financial services in the future: producers of the best products and platform providers providing the best client experience. Some consumers and businesses will want to find the best product, and some financial institutions will position themselves as the best product producer, not trying to be all things to all people. For others, convenience or choice are priorities and some financial institutions will become platform providers in response, ensuring they provide the absolute best client experience, the convenience, the cost and the variety of options, and products mostly not their own. FGS is somewhat of a virtual accelerator. Unlike MaRS or other incubators and accelerators, we do not have a physical location and we do not take equity in companies. We do some pro-bono work when we see an up-and-coming company that is exciting and just needs a little bit of help. But predominantly, we work with organizations that are scaling and need more fractional help with sales, marketing, market awareness and influence. We also provide innovation consulting services to large tech incumbents and financial institutions like CIBC and FNF Canada who see the need to rapidly respond to an opportunity or threat, and need a strategy or expertise from people who have lived experience. Our differentiator is our engagement in the FinTech community. As a lecturer at the Rotman School of Management, you also have the opportunity to interact with students and young leaders. How can Canadian educational institutions better prepare students for the FinTech industry of the future? We have made some progress on this front. A group of us, led by a senior executive at Citi Bank, crowd-sourced a FinTech course for the MBA program at the Rotman School of Management. Ivey, Queens and other universities including Northeastern University, a private, US-based university that has recently launched in Canada, are delivering FinTech programs as well as others on cybersecurity, artificial intelligence or cryptocurrency. Our education system is a barrier to progress in Canada. The next generation needs access to learning opportunities for the jobs of the future and not in 10 years – they need it now. Where we need more urgent attention is younger students in high school grades who have little access to new technologies and urgently need to be better equipped for jobs and business changes in the future. So I would give us a good mark for starting, but I think we need to make this more mainstream and scale it up exponentially faster. How do you imagine Canada’s financial services industry in 2050 and how will it transform the rest of the economy? The truth is that everyone is very worried about how slowly Canada is moving. But, by 2050, we will probably have figured it out. By 2050, I do not think we will have oligopolies anymore, but if we do, they will be more global in nature. The big Canadian banks and insurance companies as they are today will disappear. That could happen even sooner than that. Most importantly, consumers will have access to products through different means and they will choose what they want and where they get it from.